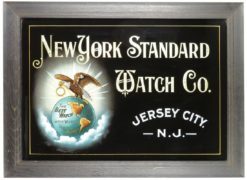 Featured is a spectacular outdoor reverse on glass hanging trade sign from C.W. 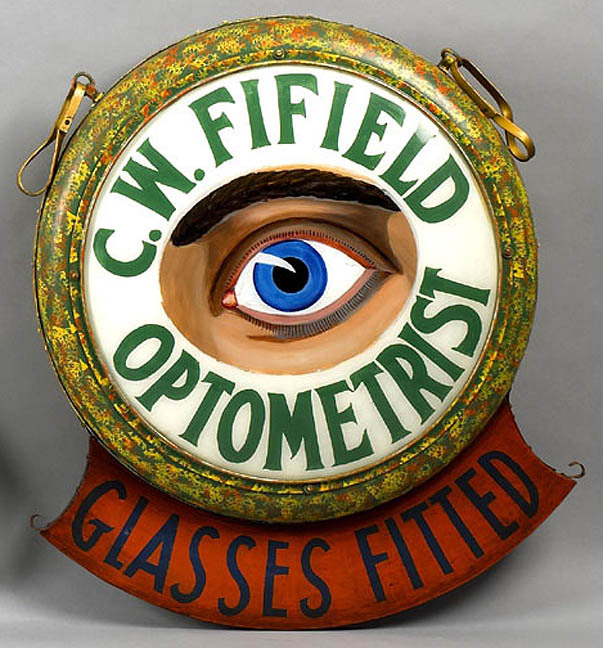 Fifield, a local optometry professional. This ROG sign illustrates a large blue hued eyeball with big bushy eyebrows right above. 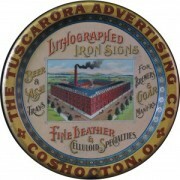 Early trade signs signifying an occupation of a local professional are always one of the most coveted types of signs in the antique advertising field. 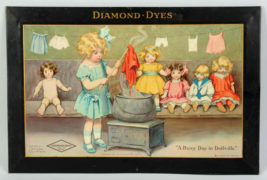 Pictured is a very colorful advertising tip tray from the Hargadine McKittrick Dry Goods Business in downtown St. Louis, Missouri. 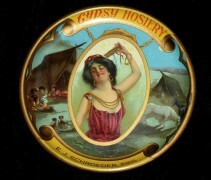 The tray is for their Gyspy womans hose legwear brand.